*full disclosure: I snagged up an Advanced Reviewer’s Copy It was the happiest day of my life let me tell you!!! Sophronia Temminnick at 14 is a great trial more interested in dismantling clocks and climbing trees than proper manners — and the family can only hope that company never sees her atrocious curtsy. Her poor mother, desperate for her daughter to become a proper lady, enrolls the lively tomboy in Mademoiselle Geraldine’s Finishing Academy for Young Ladies of Quality. But young ladies learn to finish…everything. Certainly, they learn the fine arts of dance, dress, and etiquette, but they also learn to deal out death, diversion, and espionage — in the politest possible ways, of course. Sophronia and her friends are in for a rousing first year’s education. My Review: Endearing & Exciting! Etiquette & Espionage was everything I hoped it was going to be and more! Gail continues to write in her amazing dead-pan type of British humor that doesn’t talk down to her new YA audience. Etiquette & Espionage is set a couple of decades before the Parasol Protectorate. Those who have read the adult series (like me) will have a superb time squeeing over familiar characters but younger versions of several characters. However, to all those who haven’t read the Parasol Protectorate do not fret, because Gail does an amazing job of introducing everything and everyone so that you will never feel left out. I seriously fell hard for this book and this is why I’ve delayed so long in writing the review I wanted to do it justice. I highly recommend it to everyone. Description from Goodreads: Lady Alexia Maccon, soulless, is at it again, only this time the trouble is not her fault. When a mad ghost threatens the queen, Alexia is on the case, following a trail that leads her deep into her husband’s past. Top that off with a sister who has joined the suffragette movement (shocking! ), Madame Lefoux’s latest mechanical invention, and a plague of zombie porcupines and Alexia barely has time to remember she happens to be eight months pregnant. Once again Gail Carriger has done it again. I know it took me a while to finish this book, but that’s because A) life was a tad hellish and B) I never wanted this book to end! There were so many twists and turns. You will: cry for Professor Lyall, fan girl squee for how awesome Ivy was, pine for Lord Akeldama and Biffy, and finally scream over how awesome Alexia’s baby, Alexia and Conall are. This book was flawless! All of the characters are really fleshed out in this book, we get to learn so much about them and about the world they’re a part of. Most importantly we get a lot of background information on the previous Woolsey pack leader, professor Lyall and Alexia’s father. With every new nugget of information I squeed with joy. OH get ready to seriously SERIOUSLY HATE Felicity. She is a traitorous strumpet! I’m going to wait on reading timeless, because my friend and I pledged to read it together. 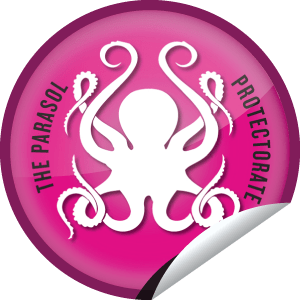 AWESOME NEWS THE PARASOL PROTECTORATE ISN’T OVER!!! And they have the most exciting information! I’ll let you read for yourself HERE as to not get your hopes up but oh man wouldn’t it be fantastic if this actually happened?!?!? 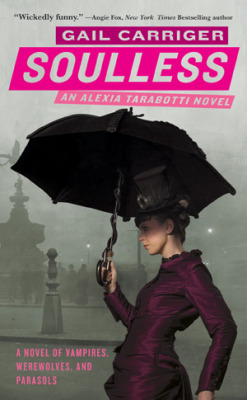 Description from goodreads: Alexia Tarabotti is laboring under a great many social tribulations. First, she has no soul. Second, she’s a spinster whose father is both Italian and dead. Third, she was rudely attacked by a vampire, breaking all standards of social etiquette. Where to go from there? 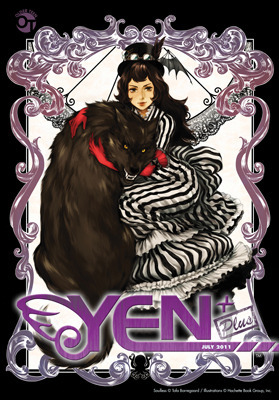 From bad to worse apparently, for Alexia accidentally kills the vampire — and then the appalling Lord Maccon (loud, messy, gorgeous, and werewolf) is sent by Queen Victoria to investigate. With unexpected vampires appearing and expected vampires disappearing, everyone seems to believe Alexia responsible. Can she figure out what is actually happening to London’s high society? Or will her soulless ability to negate supernatural powers prove useful or just plain embarrassing? Finally, who is the real enemy, and do they have treacle tart? My Review: I read the book version/original version of Soulless in 2010. I was lent the book by my friend and if I had, had a book blog then I would have gave it a 7/7. Yup better than chocolate. Quitting her husband’s house and moving back in with her horrible family, Lady Maccon becomes the scandal of the London season. While Lord Maccon elects to get progressively more inebriated and Professor Lyall desperately tries to hold the Woolsey werewolf pack together, Alexia flees England for Italy in search of the mysterious Templars. Only they know enough about the preternatural to explain her increasingly inconvenient condition, but they may be worse than the vampires — and they’re armed with pesto. 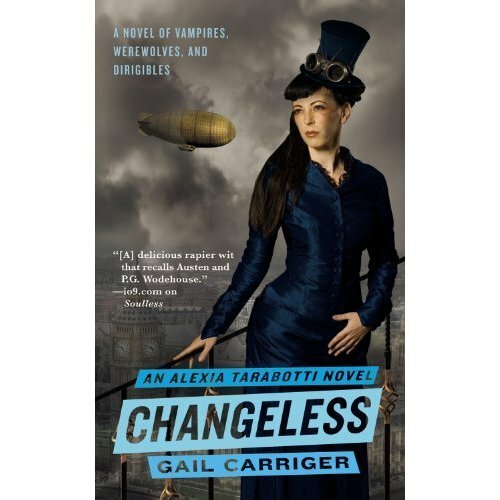 My Review: As you have read from my Changeless review I cannot post this in real time. 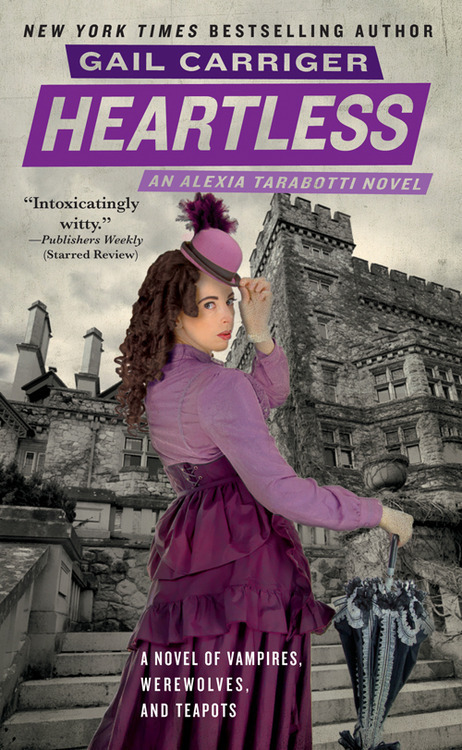 That being said today is September first and I am dying because I NEED book 4 of the Parasol Protectorate titled Heartless. Lyall was stellar and gave support to his female Alpha in every possible way. Ivy revealed herself to be not nearly as silly as we all thought her to be and she was so understanding and compassionate of our werewolf buddies ^___^! ; __ ; Poor Biffy and Lord Akeldama! I am so distraught for them!!! Floote was hilarious. Madame Genevieve Lefoux comes back and she’s fabulous. This book was more action packed than the last and it made for a very thrilling adventure. Alexia is simply amazing and somehow never gives in to her urge to panic she remains calm. She cries every now and again but seriously she definitely has the right! She calls it undignified but actually I’m impressed with how well she kept it all together, while being publicly humiliated, having very little friends, escaping London, almost dying, being heartbroken and well… “in her delicate condition” I’m surprised she can even breathe. She’s so strong and such a believable character, that I never want this series to end. However I sadly know it will with the 5th book titled Timeless. In this parasol protectorate novel we find out key information on Soulless beings and their history. We also get to watch with much glee might I add on how much Lord Maccon is suffering from his imbecilic decisions. I have to say though in his defense that … well when you read it the ending pretty much covers it. I feel like I’m being an easy reviewer but seriously the last three books I’ve read have been so good! 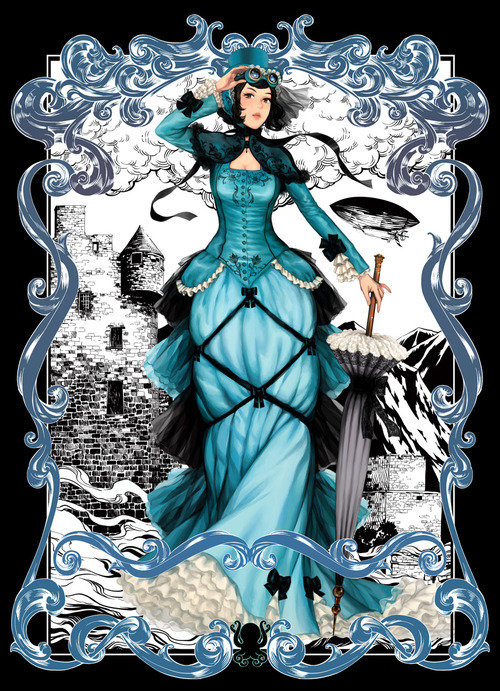 Also Gail Carriger makes it easy to love her books! Her word register, characters, and plot lines are superb her novels make you wish you were there helping Alexia Maccon! Giving Blameless a 6/7 and being absolutely Shameless about it. Will add my favorite Quotes later I promise! My: Review: I. Loved. This. Book. The whole book was gripping. It was fast paced and suspense fueled each chapter, I couldn’t read this book fast enough! Everyone is back including Ivy Hisselpenny and her horrid hats. But I was sad and angry by the end because… Conall Maccon You Blithering IDIOT! I love you but, UGH!!! Okay when I read Soulless I guessed things along the way some were right some were wrong but either way I was impressed and couldn’t stop reading. Where as Changeless completely surprised me! I couldn’t believe who was the real culprit on the dirigible and as Alexia Maccon says “” hindsight is indeed an incredibly thing. I actually liked Sidheag she was just like her “Gramps” but I was so mad at both her and Maccon at the end!! I mean really?! Those idiots! If Preternaturals can take away Supernaturals’ powers and shift them back to human (where they go back to AGE no less) then WHY COULDN’T THAT HAPPEN?! That being said, yes I know you think it’s impossible and you’re hurt but you idiot she loves you! Sorry had to get that out. Poor Alexia… I hope things go better for her in the next book. Not a lot of Lyall and I have a huge crush on him so I hope to see more of him in the next book as well. Aside from Conall’s epic blunder I loved the mystery that surrounded this book! It was fun trying to piece together all the information it reminded me of a Sherlock Holmes tale. (the real book fictional stories not the fictional television program) I mistrusted the person I wanted to trust just as Alexia did and I didn’t think about the person who I should have deemed suspicious. We also find out more about Soulless beings and as a result it gives a new dimension to Alexia’s condition. 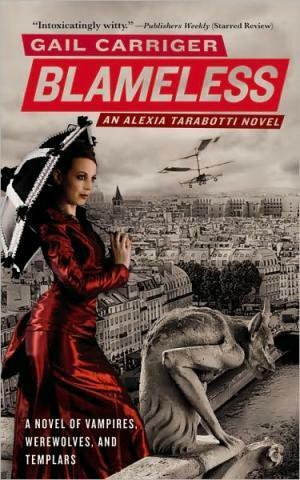 Lord Akeldama and Biffy were delicious as always and I’m so happy I have the next book Blameless here because I’d go mad without it! There are simply so many fantastic things to say about this book I don’t know where to begin! I give it a solid 6/7!